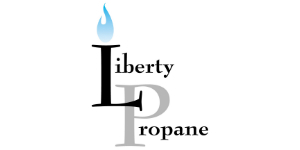 Jordan Knauff & Company is pleased to announce that on December 31, 2009 the equity of Liberty Propane, L.P. and Liberty Propane, G.P. (collectively Liberty Propane or Liberty) was acquired by Inergy Propane, LLC, a wholly-owned subsidiary of Inergy, L.P. (Nasdaq: NRGY), for approximately $234 million, including an estimated assumed tax liability. Jordan Knauff & Company, an investment bank with offices in Chicago, Illinois, and Kansas City, Missouri, acted as founder, transaction sponsor, acquisition advisor, and initial debt and equity capital advisor to Liberty Propane. Based in Overland Park, Kansas, Liberty employs approximately 300 people serving nearly 100,000 customers from 38 customer service centers in the Northeast, Mid-Atlantic and Western United States. Through the acquisition and successful integration of 28 retail propane distribution companies, Liberty grew to become the ninth largest propane retailer in the United States. Jordan Knauff & Company was the founder of Liberty Propane, which initiated operations in July 2003. As the fundless deal sponsor, the firm authored Liberty Propane’s business plan, assembled the management team, and assisted in the company’s initial acquisitions and integration activities. Mr. Thomas E. Knauff, a Managing Principal at Jordan Knauff & Company, served as Interim Chief Operating Officer during Liberty’s start-up phase and was also a member of the Board of Directors. “We were excited to be part of the Liberty story from the start and pleased to have been a participant in a successful exit transaction that was commensurate with our original business plan,” said Mr. Knauff. In addition, Jordan Knauff & Company raised the initial debt and equity capital for Liberty, consisting of a $20 million equity commitment by Sterling Capital Partners, L.P., and an $18 million acquisition facility from Fifth Third Bank. Over $60 million in additional equity, including seller participation, along with over $100 million in additional debt, including additional undrawn commitments, was raised in subsequent rounds. Jordan Knauff & Company is a knowledgeable and experienced provider of a comprehensive line of investment banking services to private companies in North America. Services include mergers and acquisitions advisory, capital formation, and strategic financial services to companies in a variety of industries. Typical transaction sizes range from $10 million to $300 million in total consideration. Inergy, L.P., with headquarters in Kansas City, Missouri, is among the fastest growing master limited partnerships in the country. Inergy’s operations include the retail marketing, sale, and distribution of propane to residential, commercial, industrial, and agricultural customers. Inergy serves approximately 800,000 retail customers from our 300 customer service centers through the United States. 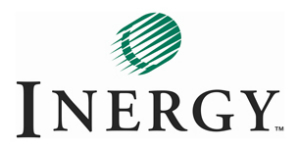 Inergy also operates a natural gas storage business; a supply logistics, transportation and wholesale marketing business that serves independent dealers and multi-state marketers in the United States and Canada; and a solution-mining and salt production company.